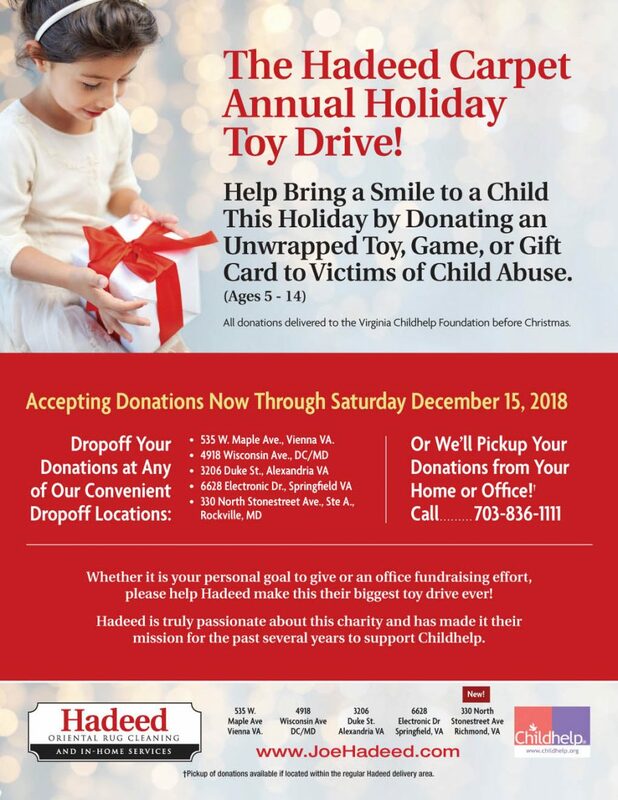 Accepting Donations for Our Annual Toy Drive Until December 15th! We are accepting donations for our annual Holiday Toy Drive from now until December 15th! Hadeed has supported the ChildHelp Foundation and their mission for many years. Items you can donate are: unwrapped toys, games, or gift cards. Call 703-836-1111 to schedule a pick up of your donation today or drop them off at one of our locations!